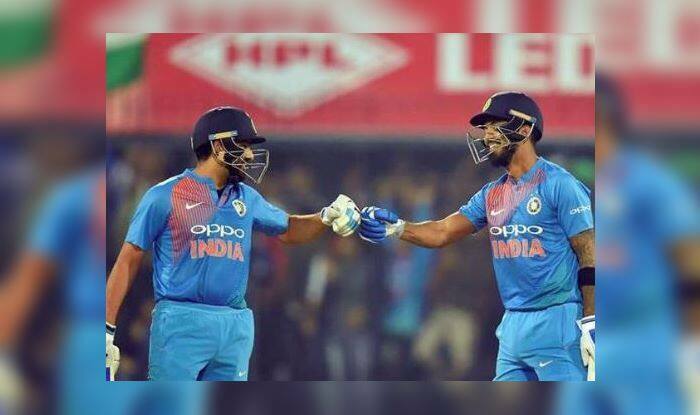 India vs Australia 2019 Predicted Squad: Return for Virat Kohli, KL Rahul, Ajinkya Rahane, Jasprit Bumrah And Rest For Rohit Sharma Ahead of ICC World Cup? India vs Australia 2019: After a taxing three-month-long Australia, New Zealand tour, the Men in Blue will get ready to host Australia in a two-match T20I series followed by a five-match ODI series. India vs Australia 2019: After a taxing three-month-long Australia, New Zealand tour, the Men in Blue will get ready to host Australia in a two-match T20I series followed by a five-match ODI series. While Australia has already announced their squad, the home side is yet to announce their side. The big news from the Australian camp is that Mitchell Starc has not been picked due to an injury, whereas Billy Stanlake and Peter Siddle have not made the cut. It will be the last opportunity for India to get their squad in order ahead of the World Cup later this year. Australia will have another chance to get things in order when they lock horns with Pakistan later. In all likelihood, Ajinkya Rahane and KL Rahul are set to make a comeback in the side. After missing out on the major part of the New Zealand tour, Kohli and Jasprit Bumrah could also be roped into the side. It would be interesting to see if Rohit Sharma gets a break as he too has been playing non-stop limited overs cricket recently. Meanwhile, former India captain MS Dhoni is on the cusp of yet another world record when India host Australia in the upcoming limited overs series. Dhoni is three games away from surpassing Mark Boucher record of keeping wickets in most international matches. Recently, Dhoni became the first Indian to feature in 300 T20s.